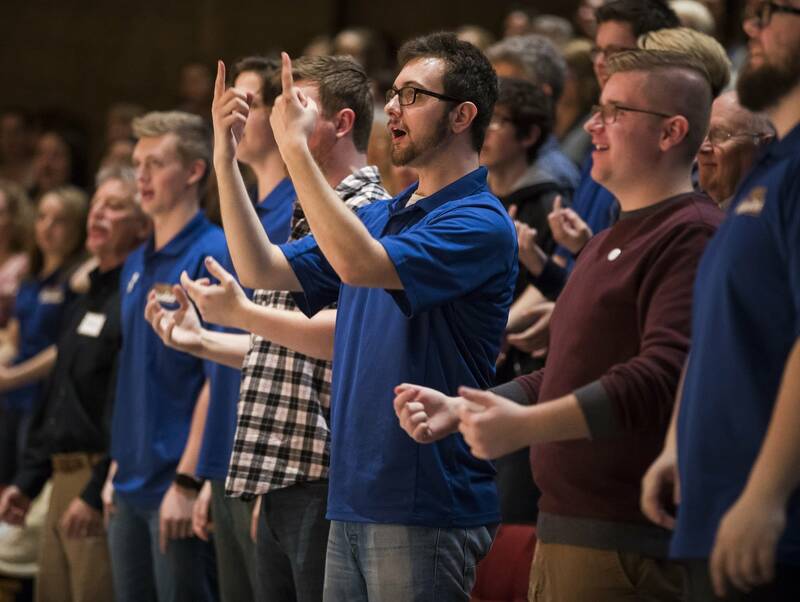 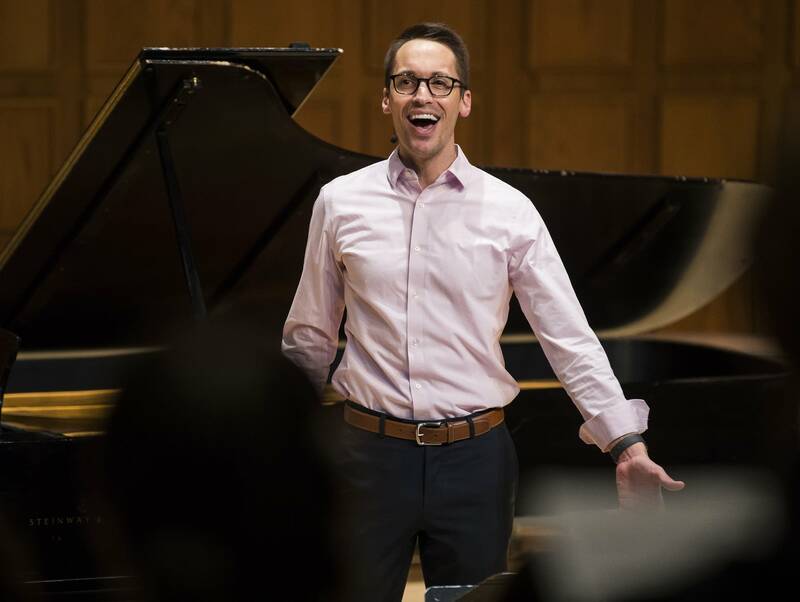 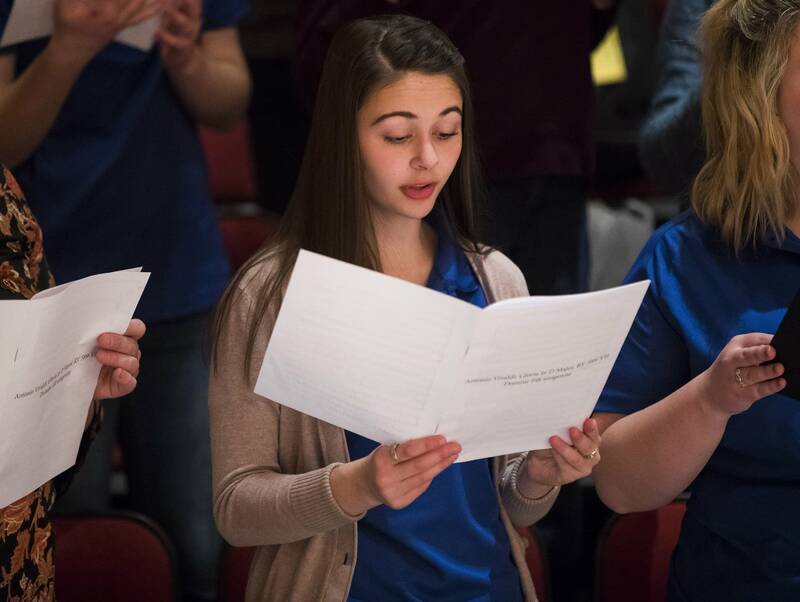 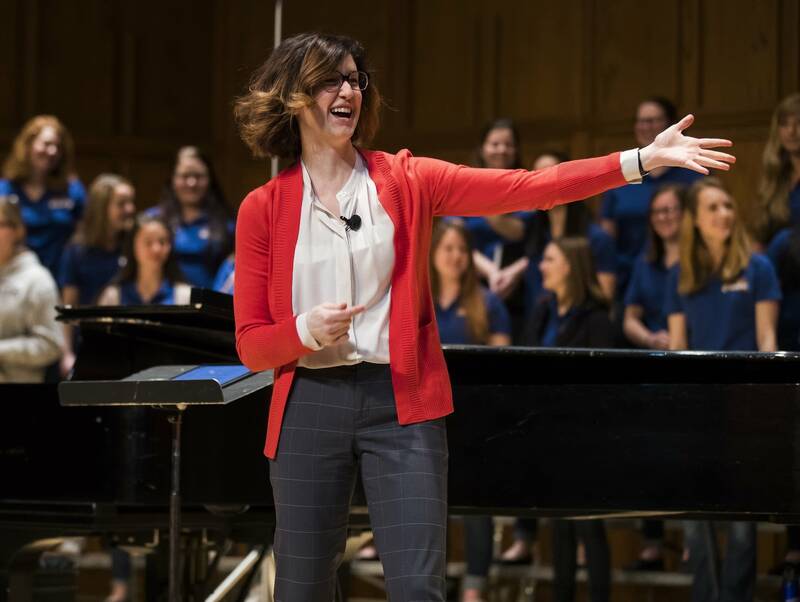 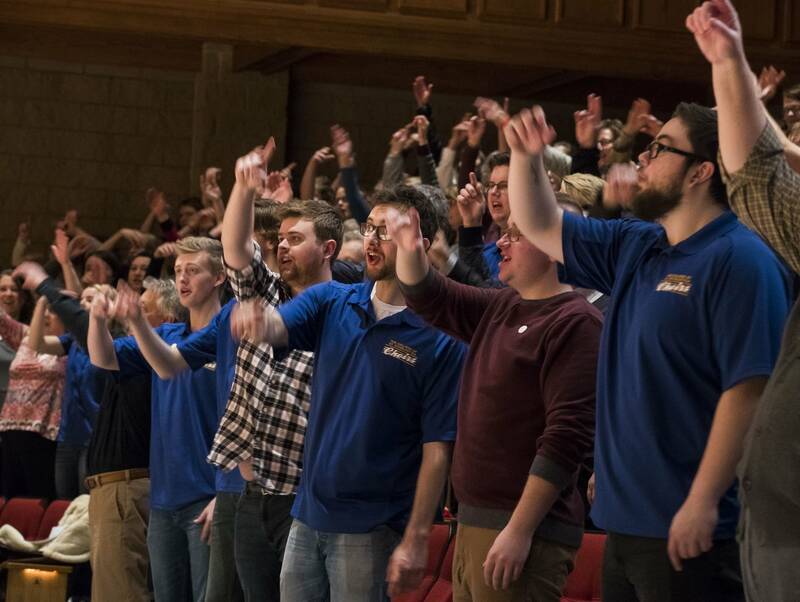 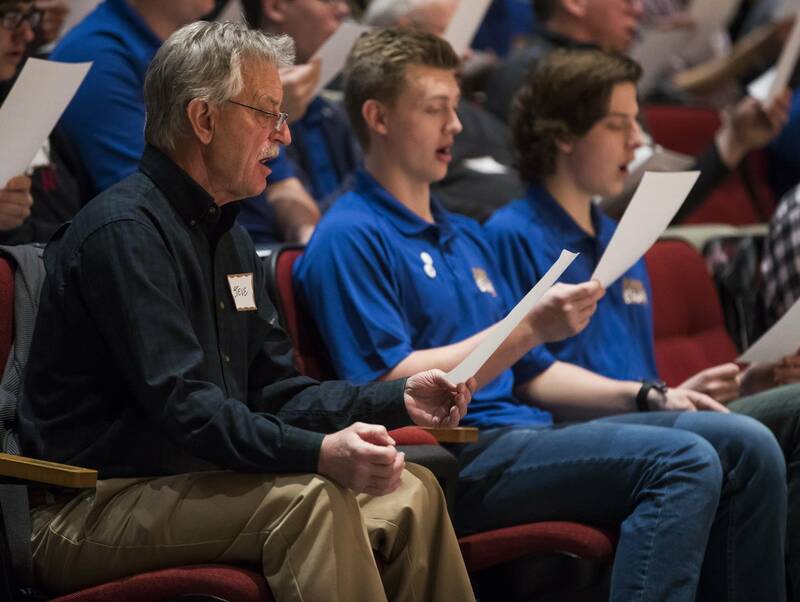 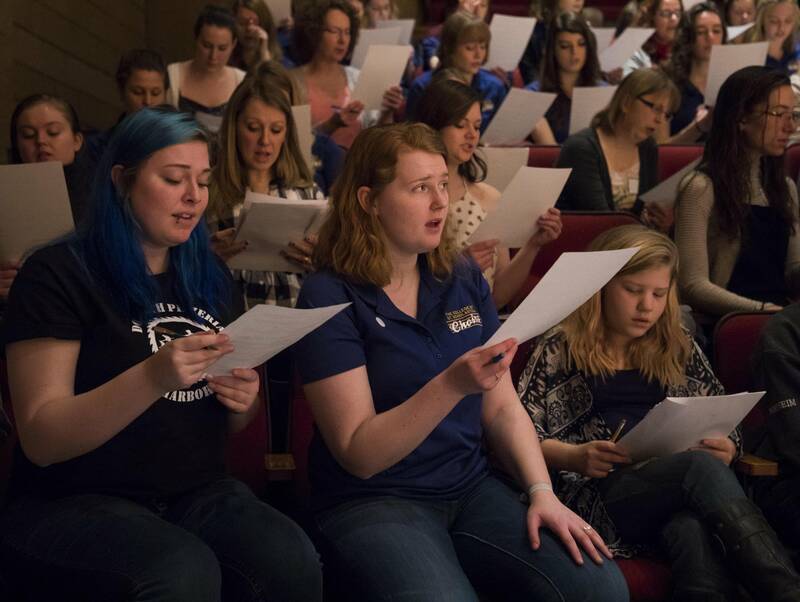 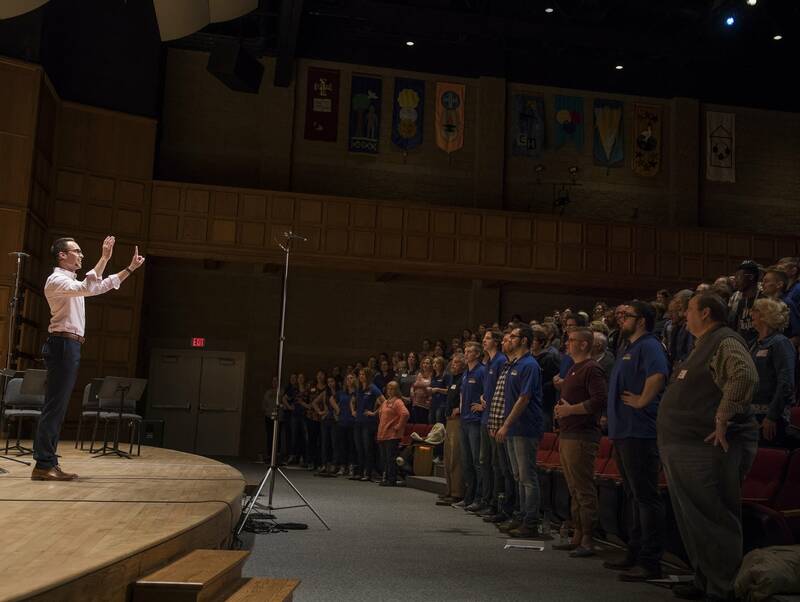 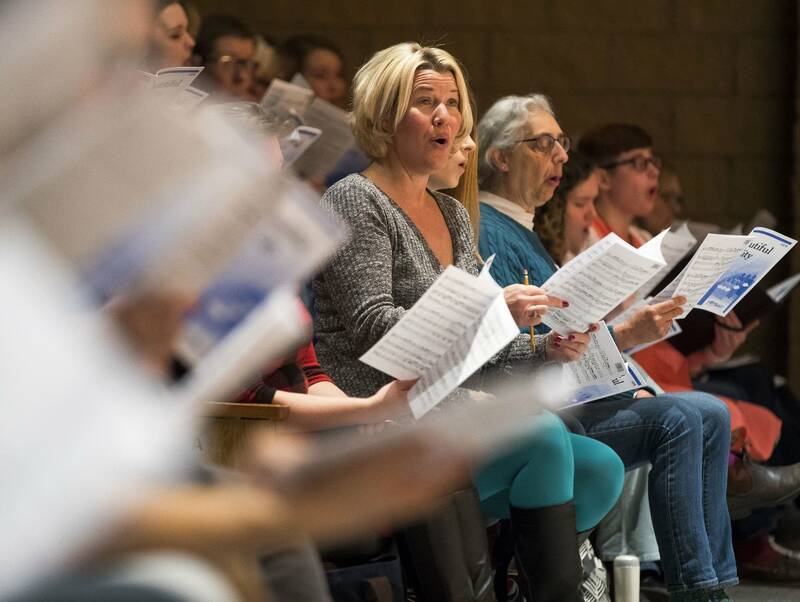 Bring the Sing made a return visit  its third  to Duluth's College of St. Scholastica on March 24, drawing community singers from around Minnesota's Northland and elsewhere to blend their voices with the college's own singers. 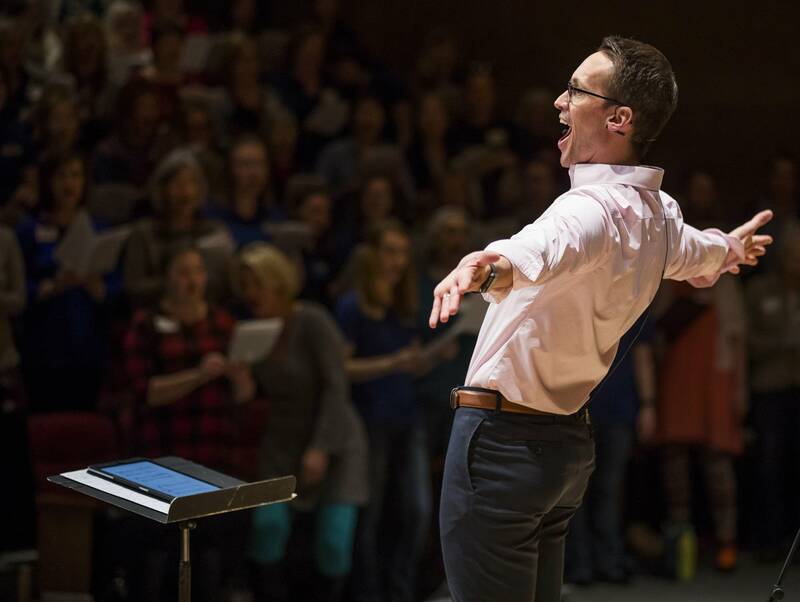 Bret Amundson and Sarah Ludwig, charismatic conductors who hail from St. Scholastica's music department, led participants through four uplifting works (in order): a movement from Vivaldi's "Gloria in D," Mark Miller's "Draw the Circle Wide" (the adopted anthem of Bring the Sing), the traditional South African song "Ukuthula" ("Peace"), and André Thomas' "Beautiful City." 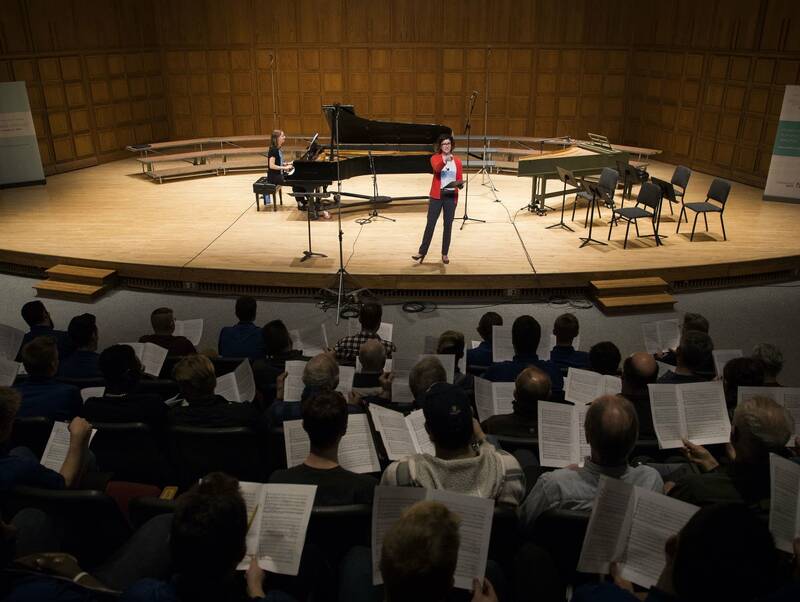 Harpsichord and a string quartet accompanied the "Gloria," a Bring the Sing first. 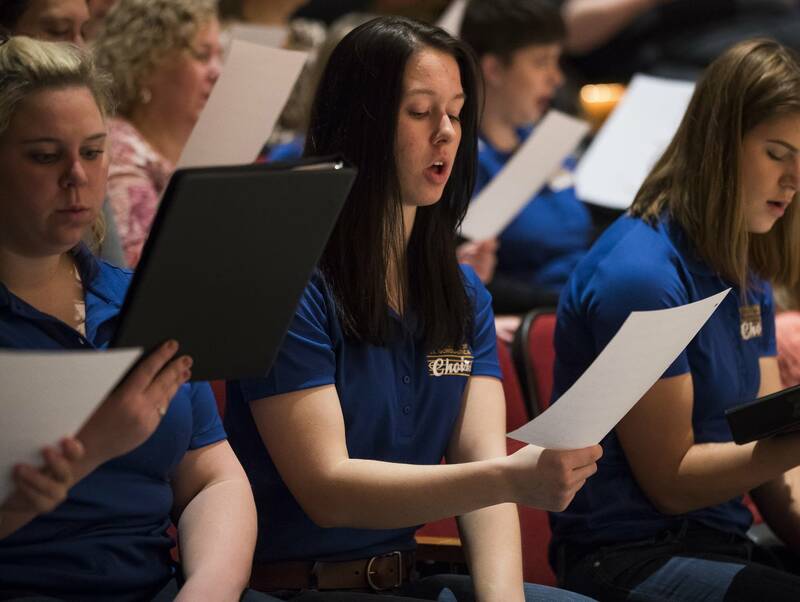 The College of St. Scholastica is perched on one of Duluth's highest vantage points, overlooking Lake Superior, which that day hurled wild gusts off its ice. 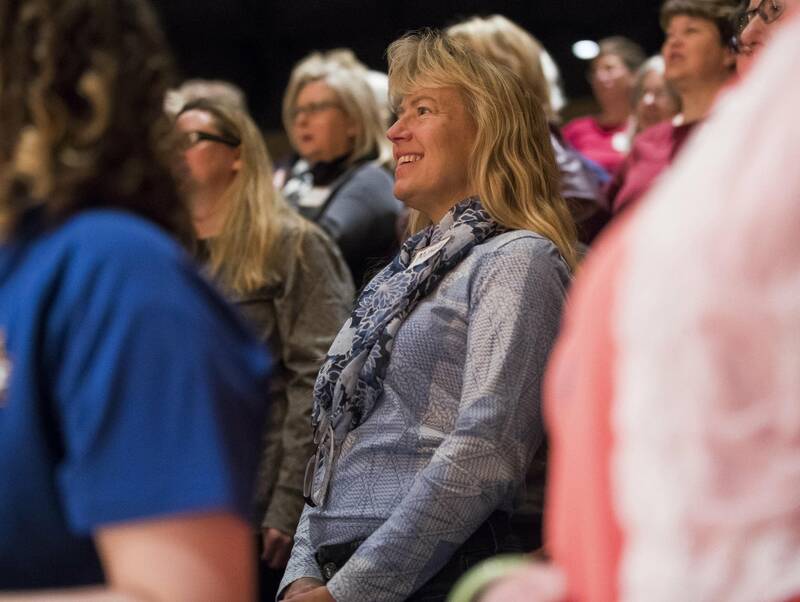 But inside Mitchell Auditorium, where voices rang and new friends were made, hygge reigned. 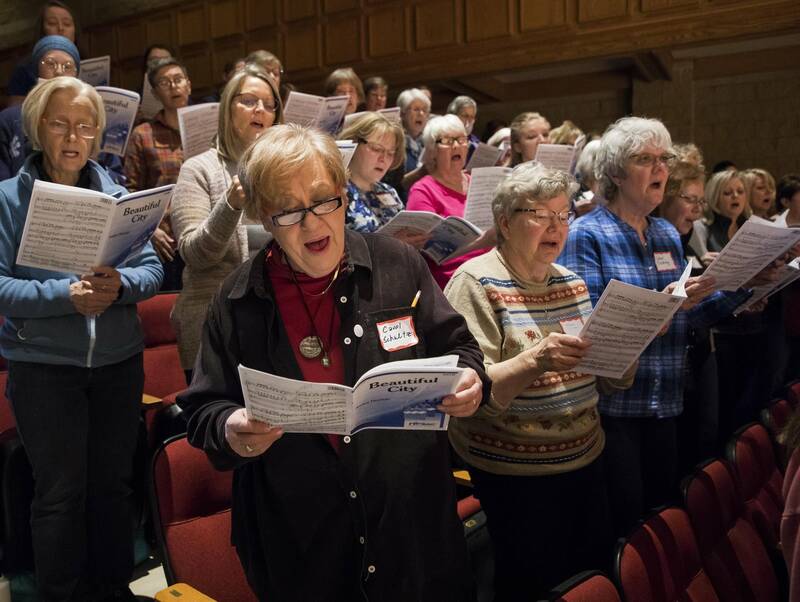 Bring the Sing began in Duluth three years ago as an extension of Harmony in the Park, the annual outdoor choral festival that Classical MPR hosted in Leif Erikson Park. 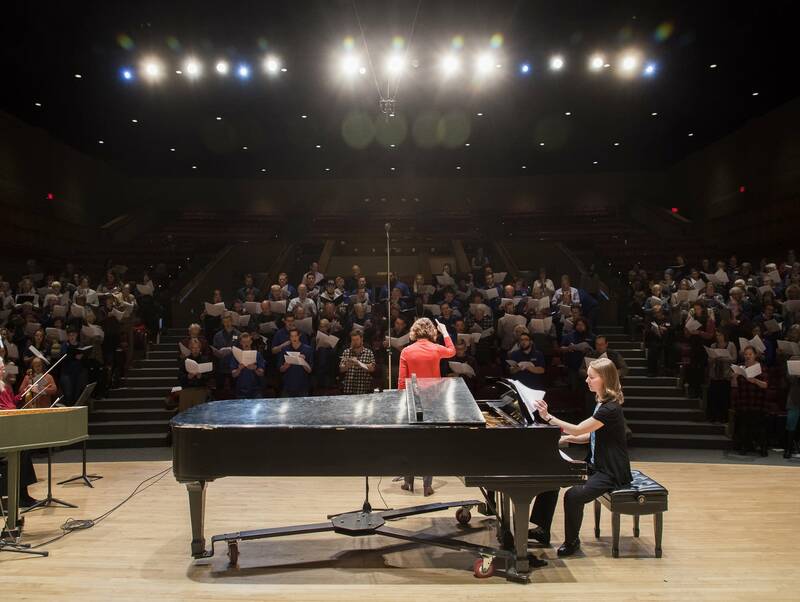 Along with Amundson and Ludwig, choral conductor Tesfa Wondemagegnehu and Duluth singer Gaelynn Lea helped inaugurate the project. 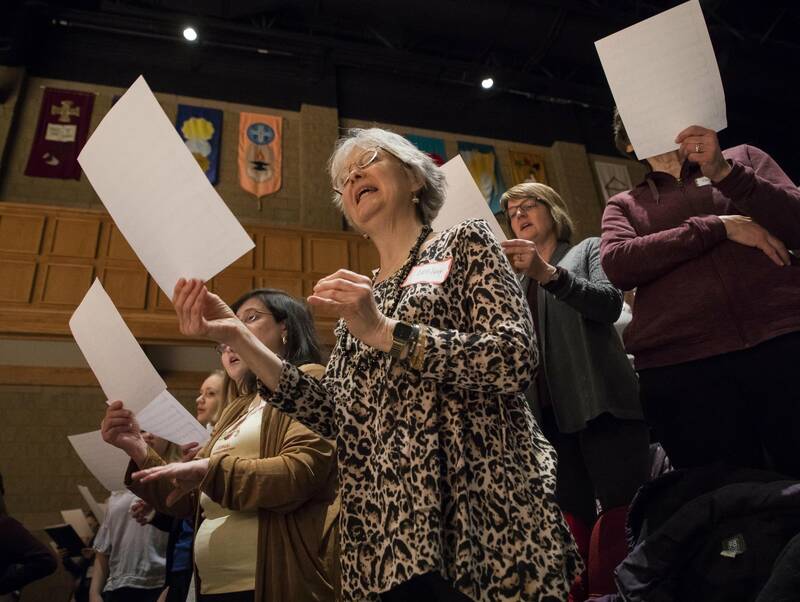 At one point during last month's event, Amundson asked participants who were from places other than Duluth to stand. 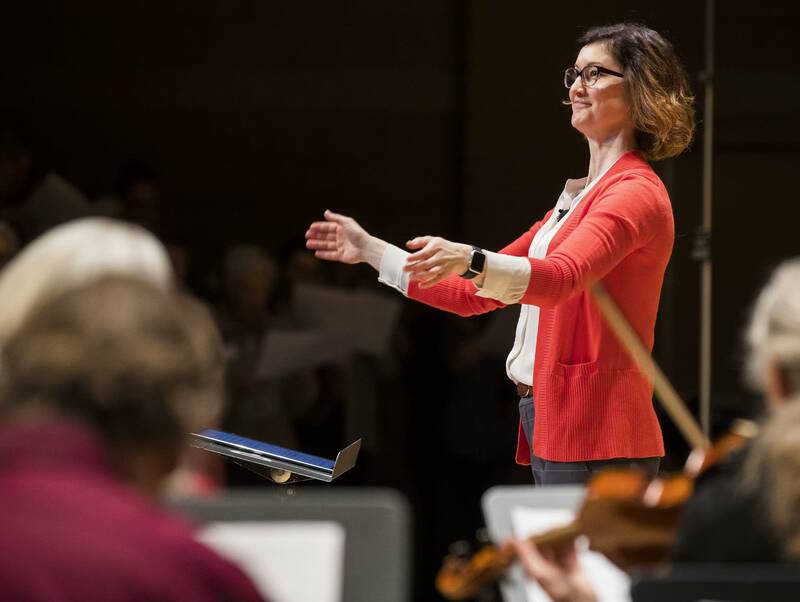 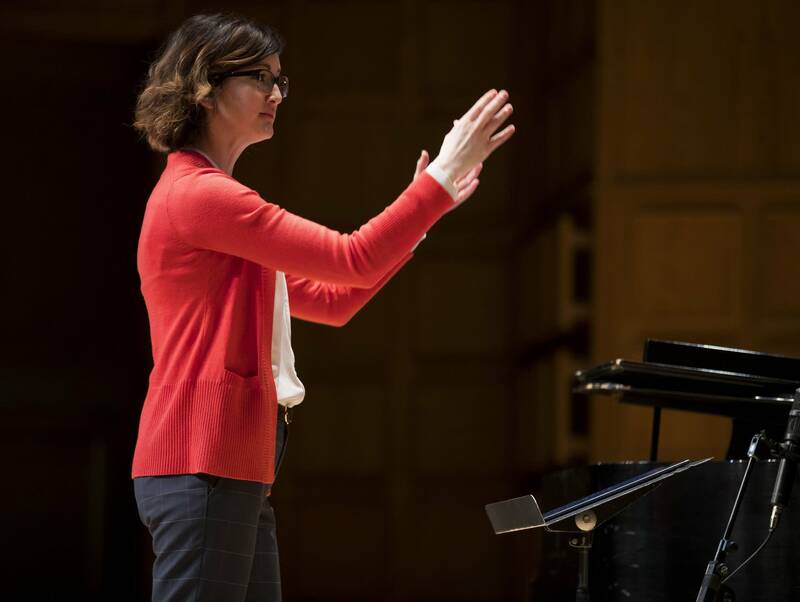 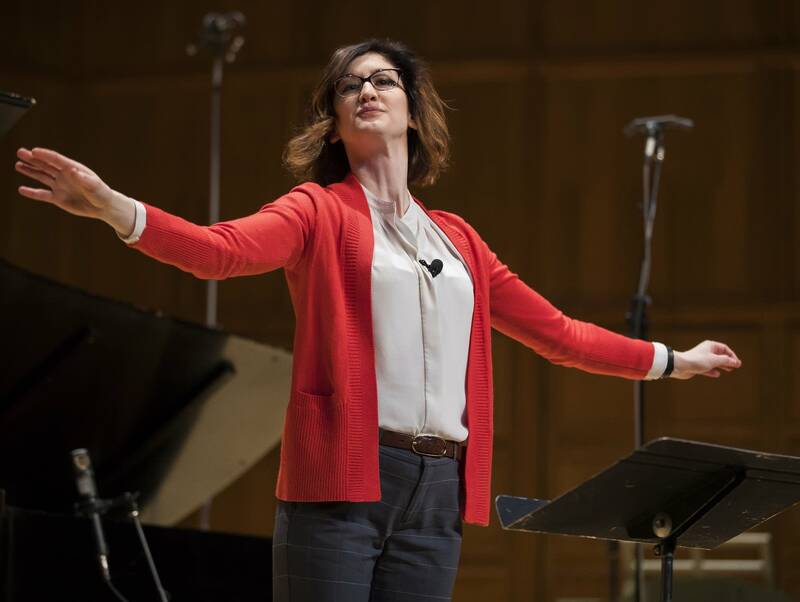 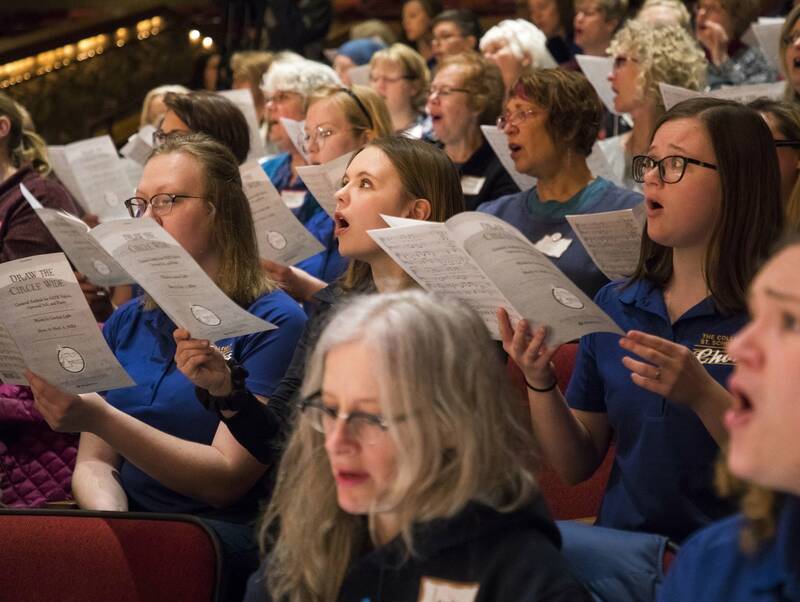 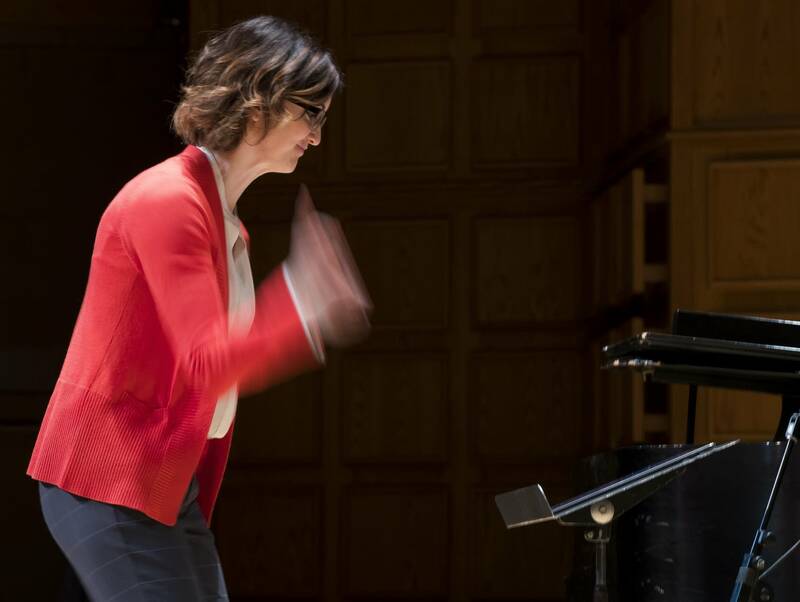 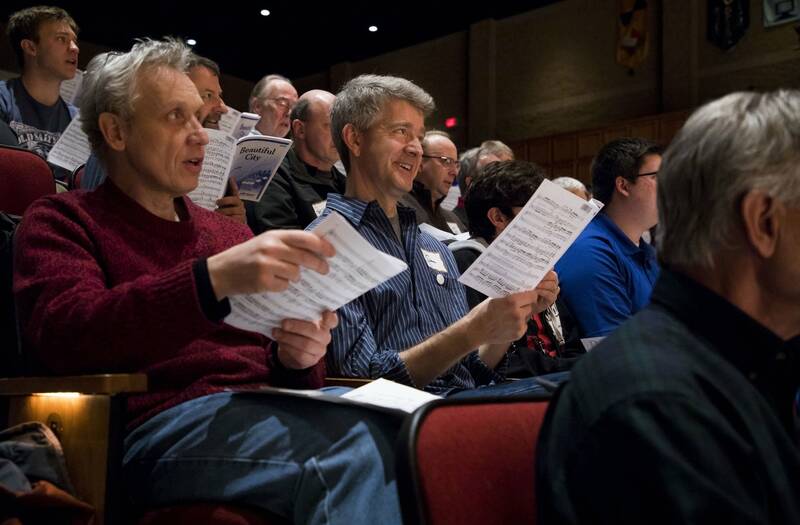 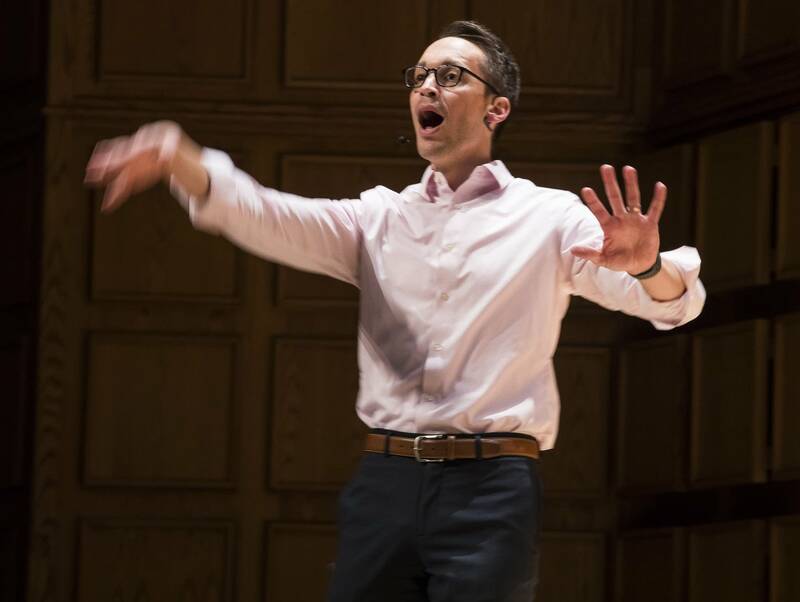 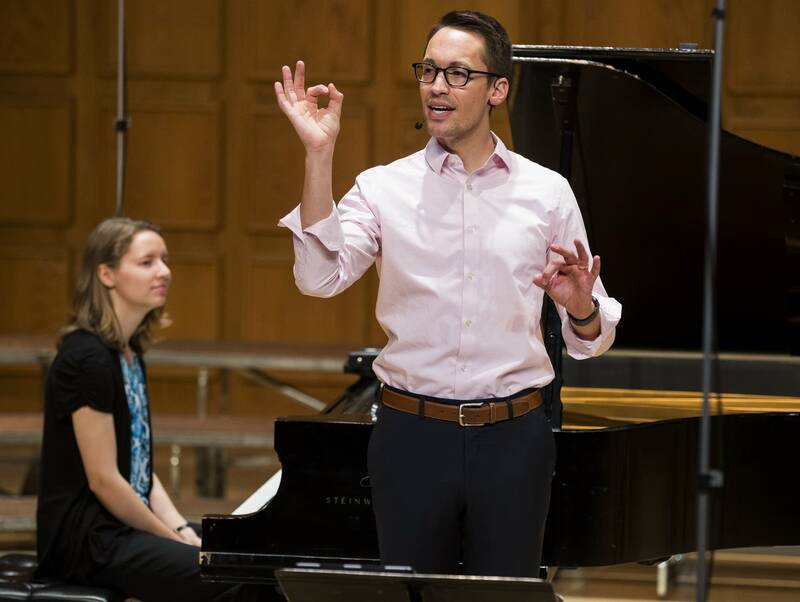 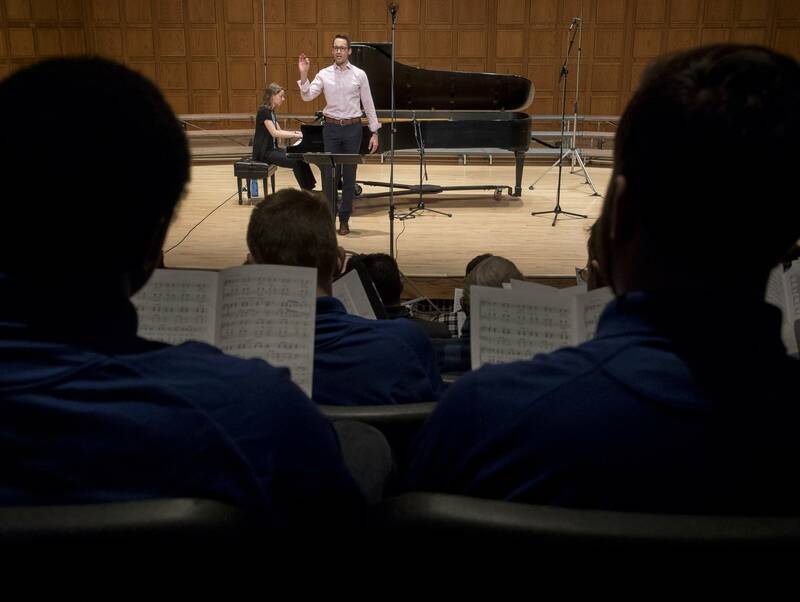 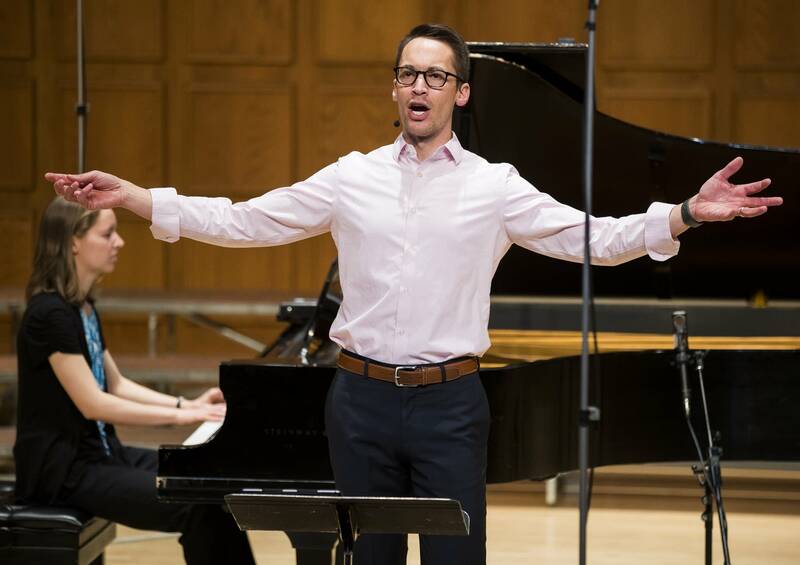 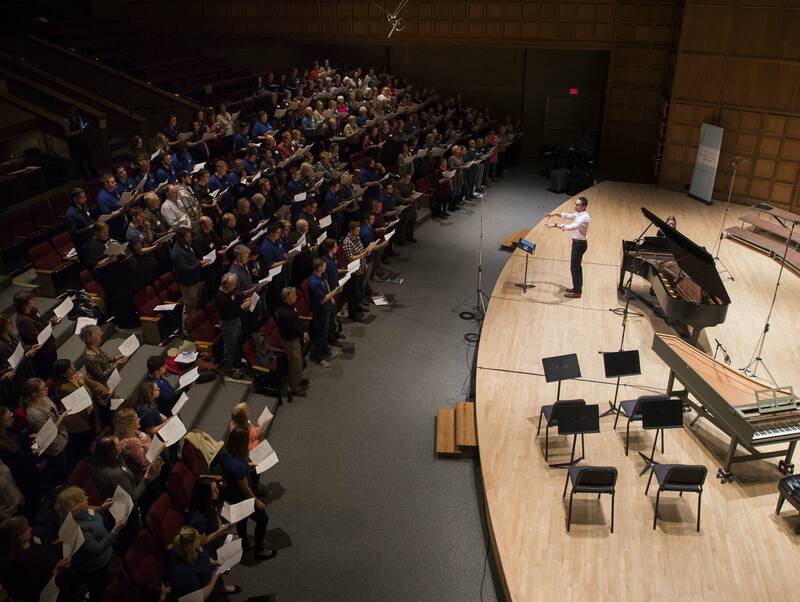 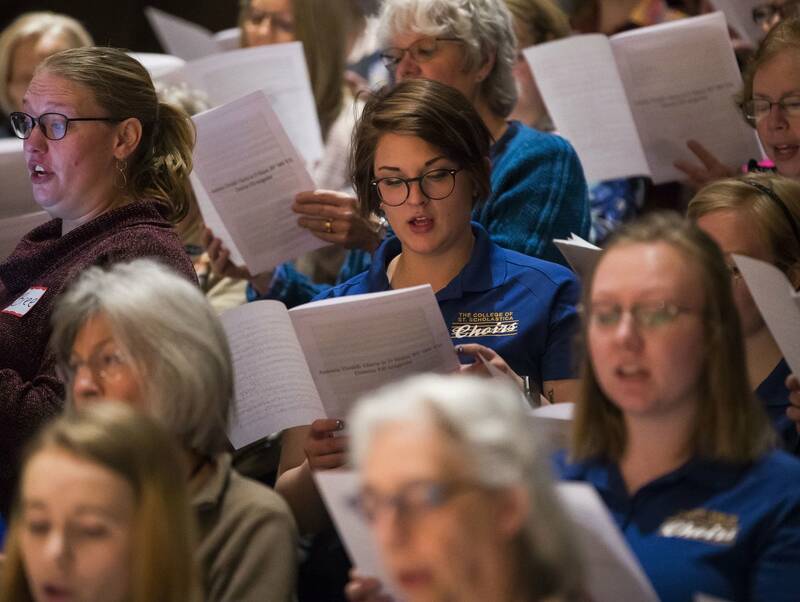 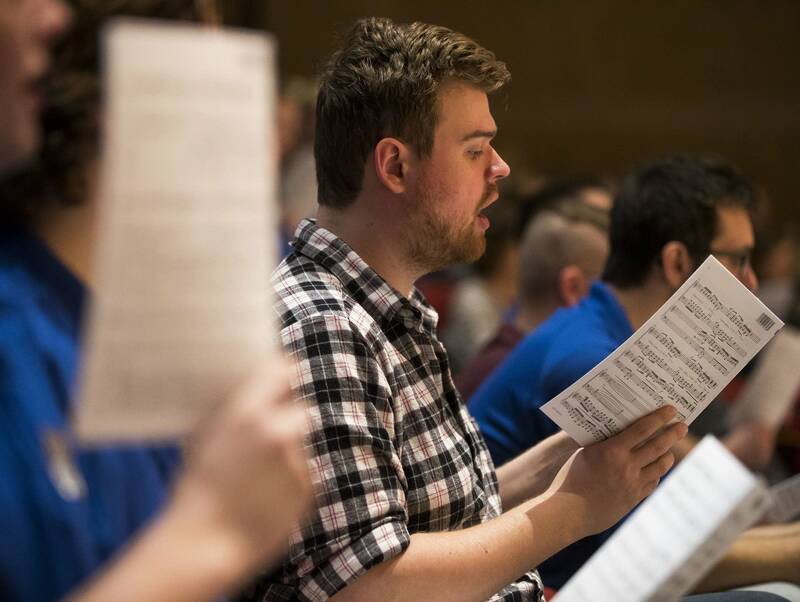 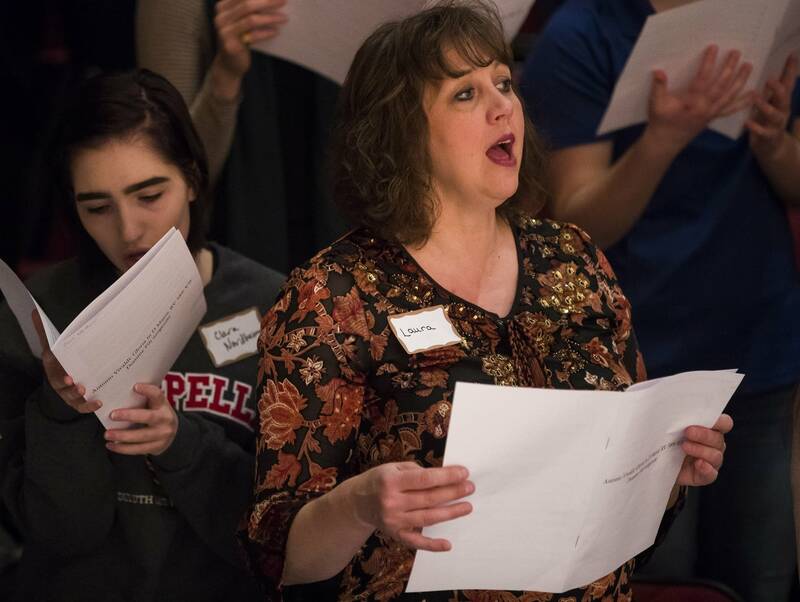 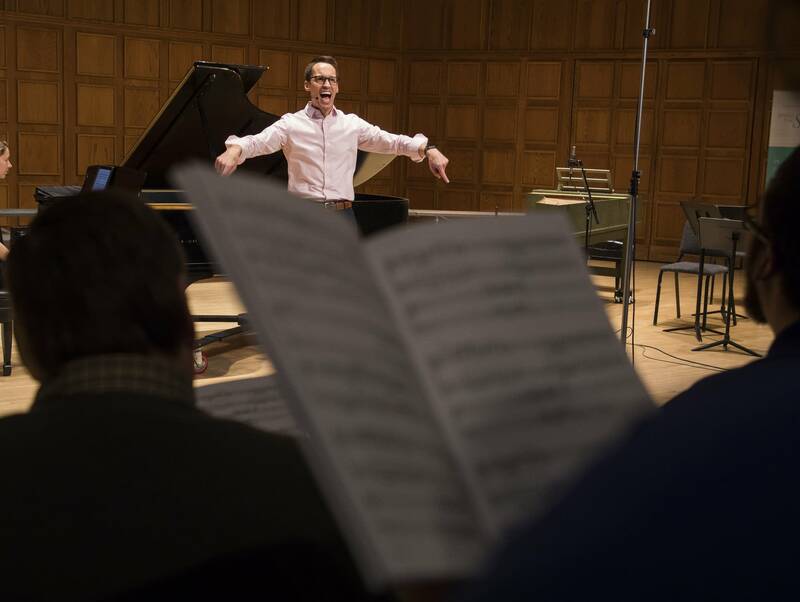 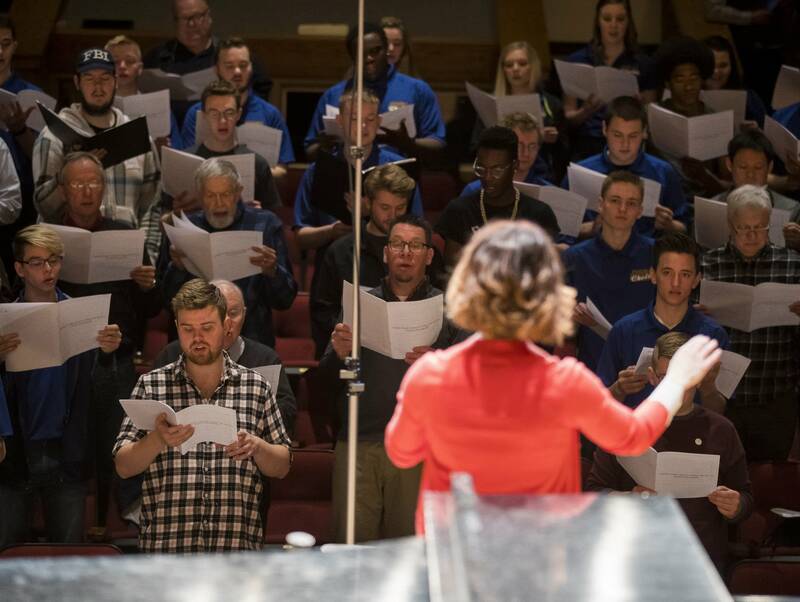 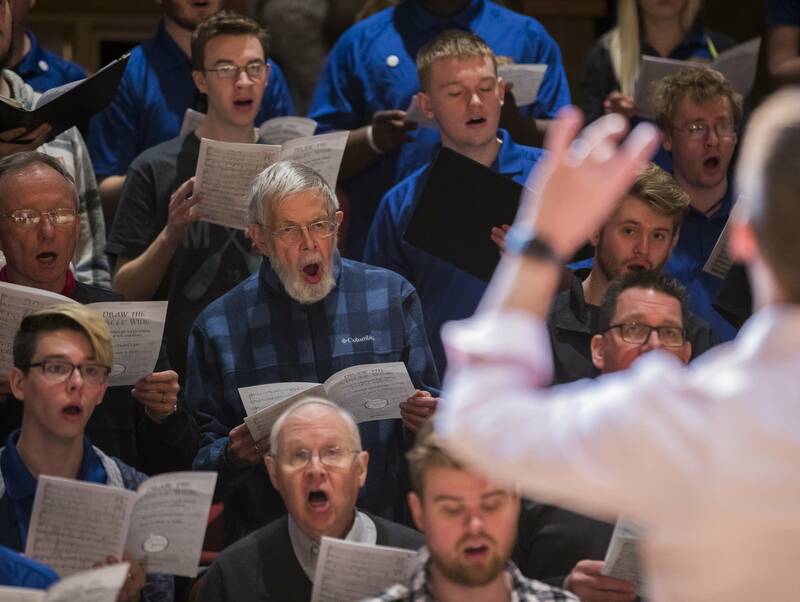 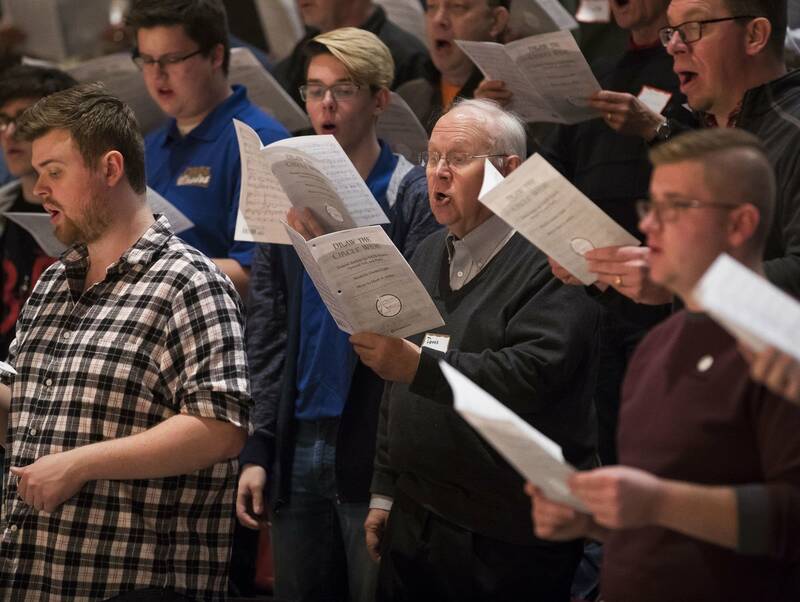 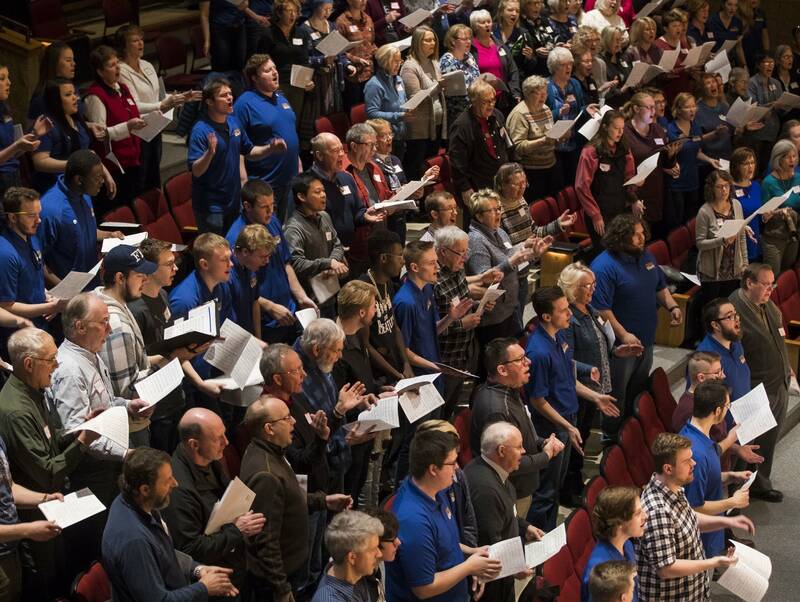 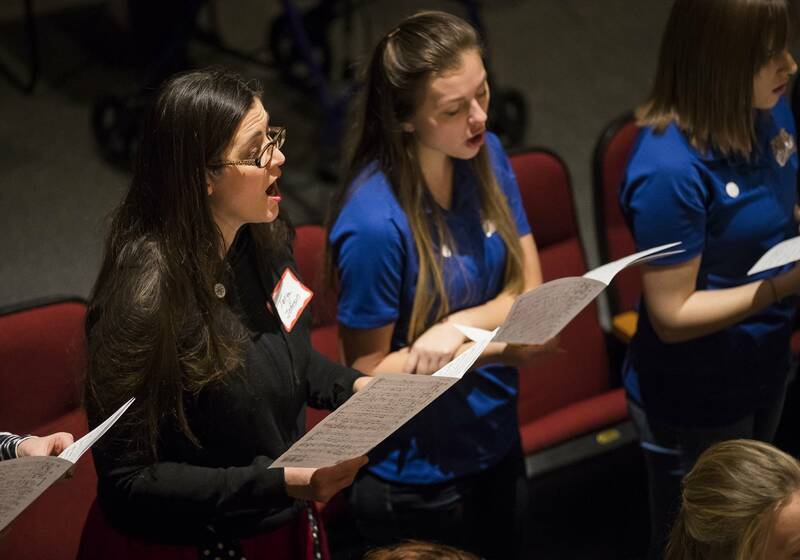 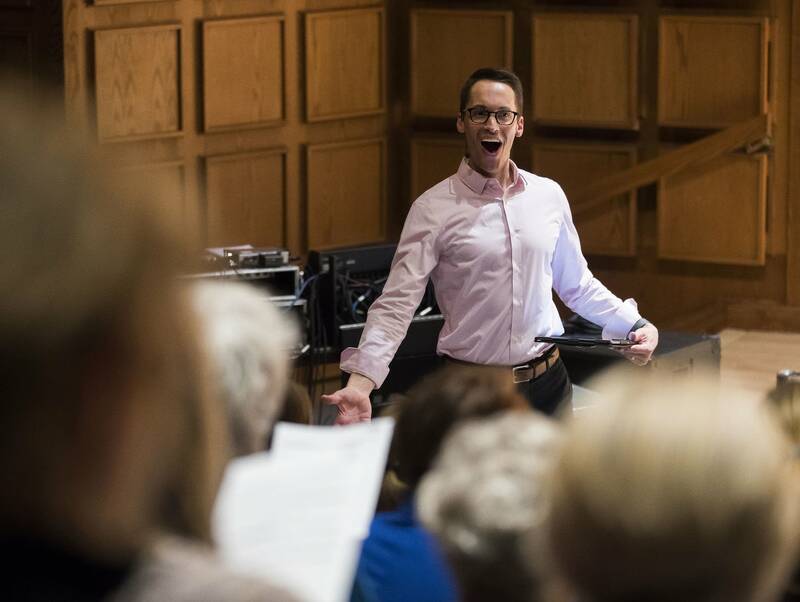 About 60 singers did, a reflection of Bring the Sing's growing appeal as a "choral pilgrimage" for Classical MPR's entire multistate listening region. 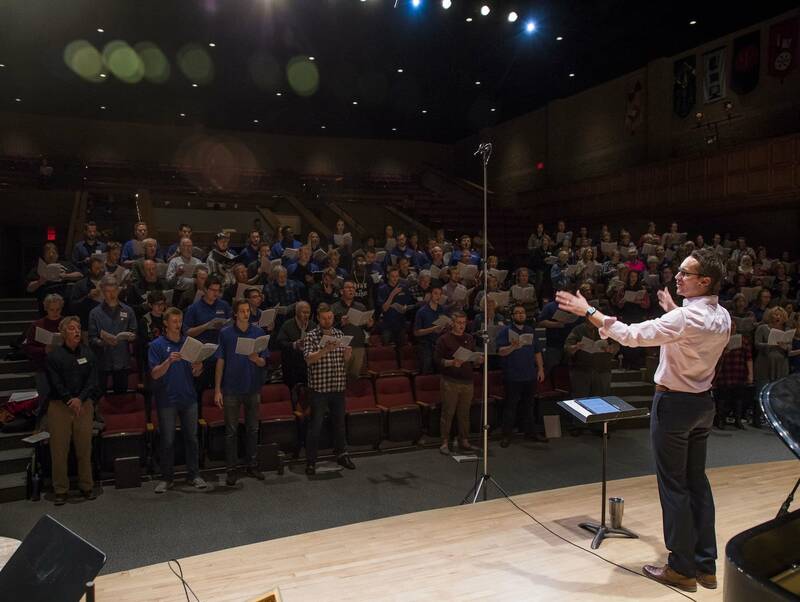 Listen to the audio from Bring the Sing Duluth 2018 by clicking the player above. 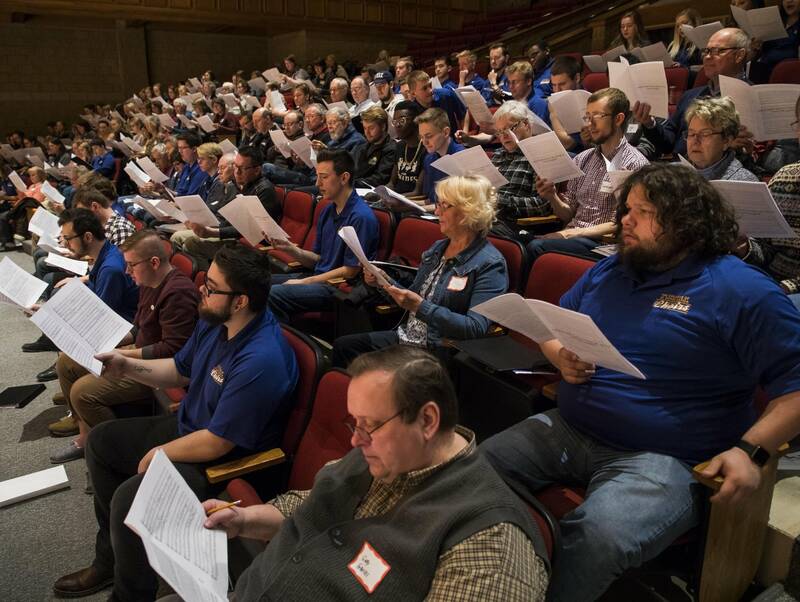 More photos from the event are below.